Few years ago there was a $100 laptop sensation that ultimately converted to a one laptop per child Children’s Machine, an inexpensive subnotebook computer with low power and small footprint. Today it was Raspberry Pi, a $25/$35 small footprint computer almost the size of a credit card that can perform basic computing for many users. The UK based Raspberry Pi Foundation built this computer to stimulate the teaching of basic computer science in schools at affordable price. It has started to take the orders beginning today. The design is based around a Broadcom BCM2835 system on a chip (SoC), which includes an ARM1176JZF-S 700 MHz processor, VideoCore IV GPU, and 256 Megabytes of RAM. The design does not include a built-in hard disk or solid-state drive, instead relies on an SD card for booting and long-term storage. 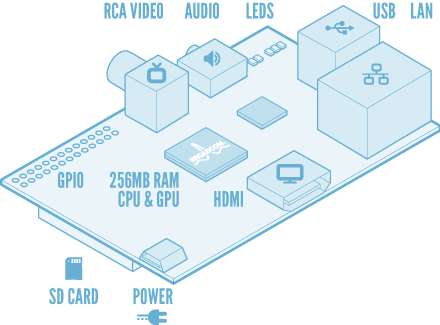 The board is intended to run Linus kernel based operating system and supports Python programming language.